Costco is building its own poultry supply chain to help hold down the price of its popular prepared food item. 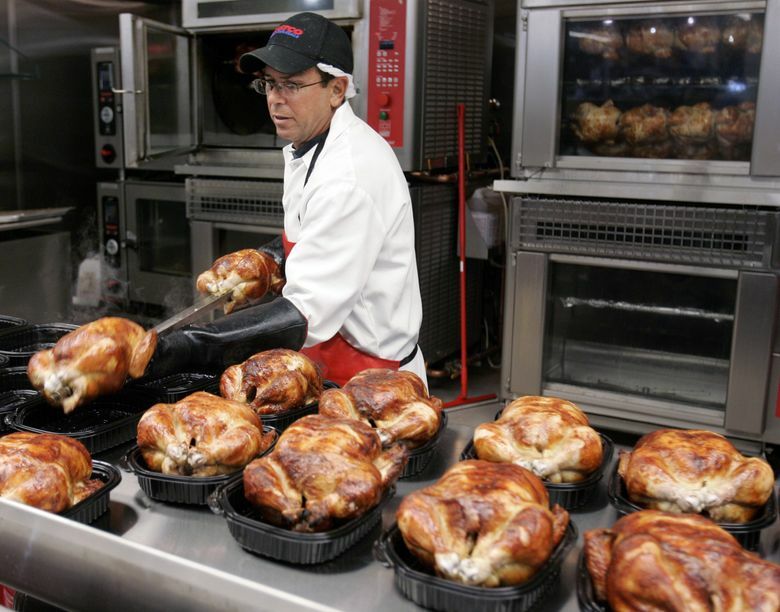 Costco is on track to open a massive chicken operation about a year from now in eastern Nebraska, bringing more of the supply chain for its strategically and symbolically important $5 rotisserie chicken under its own wing. In 2013, Costco chief financial officer Richard Galanti called the birds “the new hot dog” – a reference to the $1.50 hot dog and soda combo that is practically the retailer’s corporate symbol. By delving deeper into the chicken supply chain, Costco is following its own playbook with the hot dog, which it gets in staggering volumes from a plant it owns in Tracy, Calif., where it also produces ground beef. That’s part of how the company has held the line on the combo price since 1983, this summer’s much-lamented demise of the polish dog option notwithstanding. Costco has at times taken a substantial loss on the rotisserie chicken – known to ardent fans as the CRC – which entices shoppers into its stores for the purchase of more profitable items. The rotisseries are usually in the back of the giant stores, meaning a shopper has to pass by everything else to go get one. Galanti said in 2015 the company was “willing to eat, if you will, $30 to $40 million a year in gross margin” by holding its rotisserie chicken prices at $4.99 as competitors raised prices ahead of expected wholesale price increases in the wake of the avian flu epidemic. But the company continually looks for new ways to shave its costs and ensure a steady supply, particularly as the availability of whole chickens meeting Costco’s weight requirements has dwindled; more birds are sold as parts or otherwise processed. Galanti said last October that the $300 million plant, which broke ground last year, will produce about 100 million chickens a year, about a quarter of the company’s annual U.S. demand. “Costco’s plant will allow the company to target and remove costs to make the $4.99 price point sustainable over the long-term,” Will Sawyer, lead animal protein economist at CoBank, which serves industries including agribusiness, said in a new report on Costco’s chicken play. For example, Nebraska’s vast production of corn and soybeans should give Costco an advantage on feed costs, Sawyer noted. The operation, set to open about a year from now, will revolve around a hatchery, feed mill and processing plant in Fremont, Neb., owned by Costco. Eventually there will be hundreds of new chicken barns in Nebraska and parts of Iowa to be operated by producers under long-term contracts with Costco, according to reporting by The Fremont Tribune. Critics in Nebraska say Costco’s version of vertical integration offloads the financial risk to the chicken farmers with whom it’s contracting and environmental risks to the broader community. But if Costco’s chickens are indeed on the level of the hot dog in importance, the company will likely be motivated to take greater care with the supply chain.